It’s a day filled with emphasis on loving ourselves and loving others, which we LOVE. 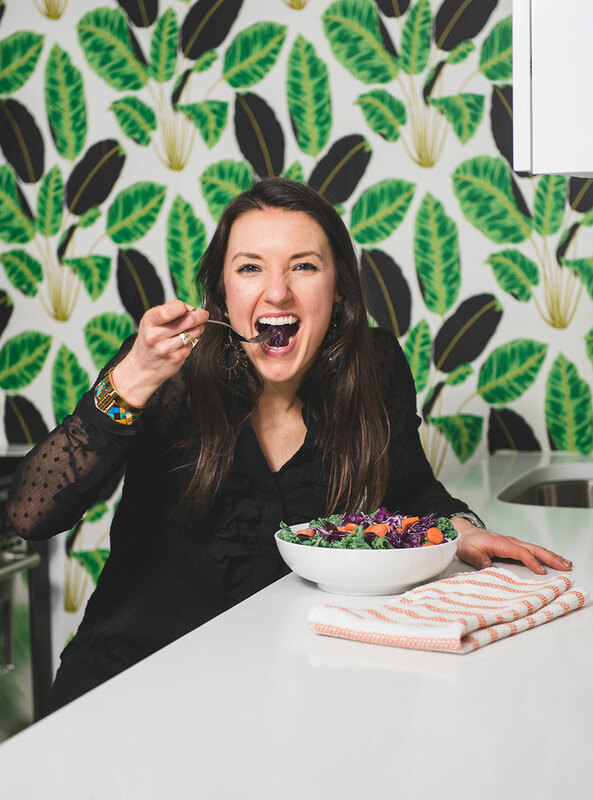 In honor of Valentine’s Day we thought it would be great to have our amazing Nutritionist/Health Coach and Certified Yogi, Molly Hoffman, share some very special yoga poses that show how much you appreciate others and honor yourself! 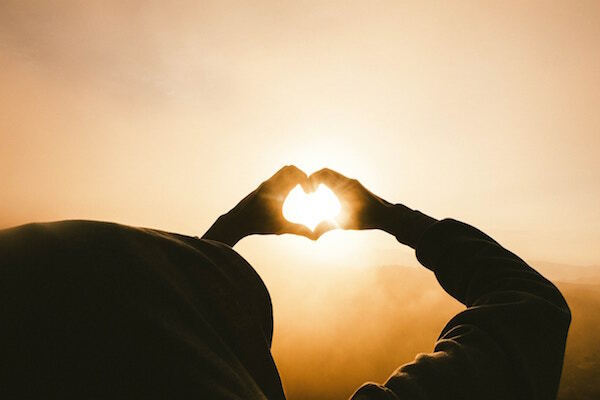 Anyone who has ever taken a yoga class has probably heard the words “open your heart” or “lift your heart”, and while in the moment these words might not land – it is in fact, exactly what’s happening. I have been practicing yoga for ten years and have been teaching for seven years, and in that time have learned that everyone practices for a different reason. Whether you are looking to build strength, detox, gain flexibility, clear your mind, or simply connect to other people – yoga is a wonderful tool to help bring whatever your body and mind are craving into your life. 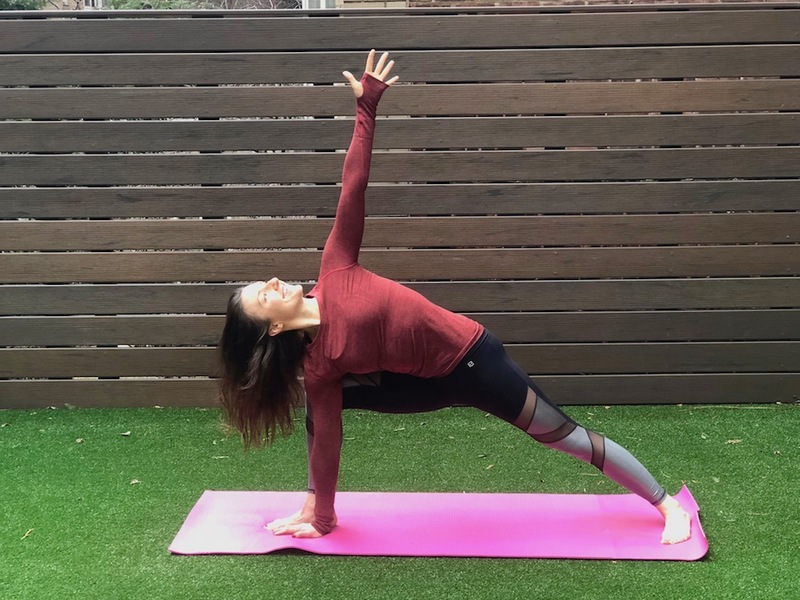 Every yoga pose has many functions and benefits, and while there is often a big focus on the physicality of the poses, doing each pose “right” or being a “perfect yogi” isn’t the ultimate goal of yoga. The intention behind each pose is to teach yourself about YOU. It is often the case that the reactions, emotions, fears, doubts and stories that make their way into your yoga practice are probably making their way into your life off of the mat as well. It can be really scary to move out of your “comfort zone”, embrace the unknown and be willing to fall on your face without knowing what waits for you on the other side. Yoga encourages us to be open and vulnerable, so that when love and opportunity presents itself we have the strength and courage to embrace it without hesitation. 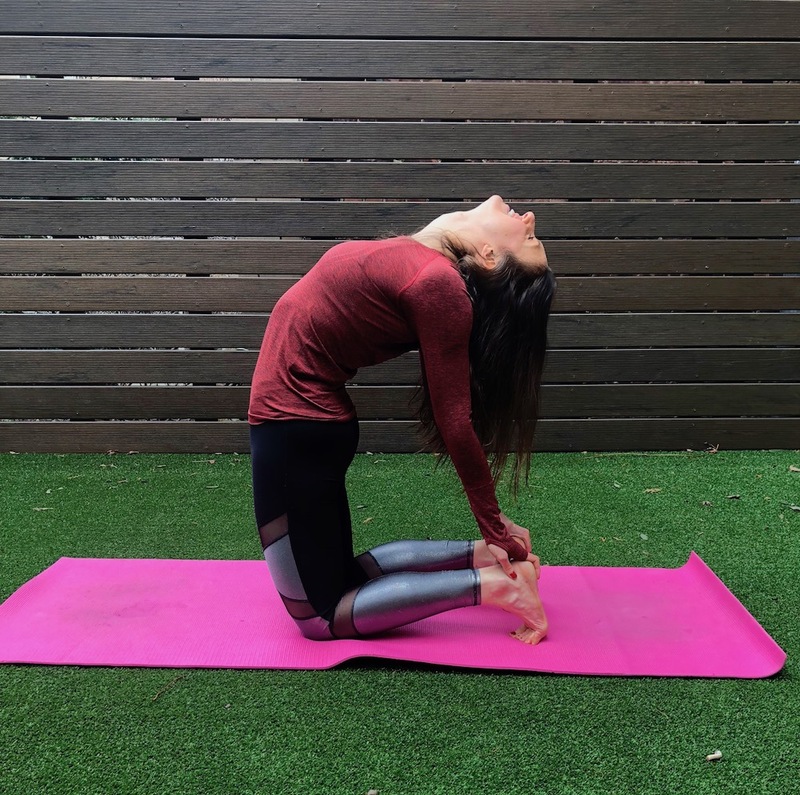 Here are a few of my favorite “heart opening” yoga poses that can help you to confidently give and receive love off of the mat … and just in time for Valentines Day! How to do it: Stand on your shins, and stack your shoulders, hips and knees in one line. Take your hands to your lower back and gently press your hips forward to ensure that your hips and knees are in one line. Keeping your hips stacked over your knees – start to lift your sternum and gaze (drishti) up towards the ceiling. Continue to draw both shoulder blades onto your back so that you can open across the front of your chest. Take 5 breathes in the pose and then take downward facing dog to reset. How to do it: Lay on your back, bend your knees and place your feet flat on the floor. Walk your feet back until your ankles are directly under your knees. Place your hands by your ears and point your elbows up towards the ceiling. Ground down through your feet, and press into your hands to lift your glutes and back off of the floor. Straighten your arms as much as you can. Let this backbend come from the strength of the legs. Press down to lift up! Draw your chest in between the window of your arms. 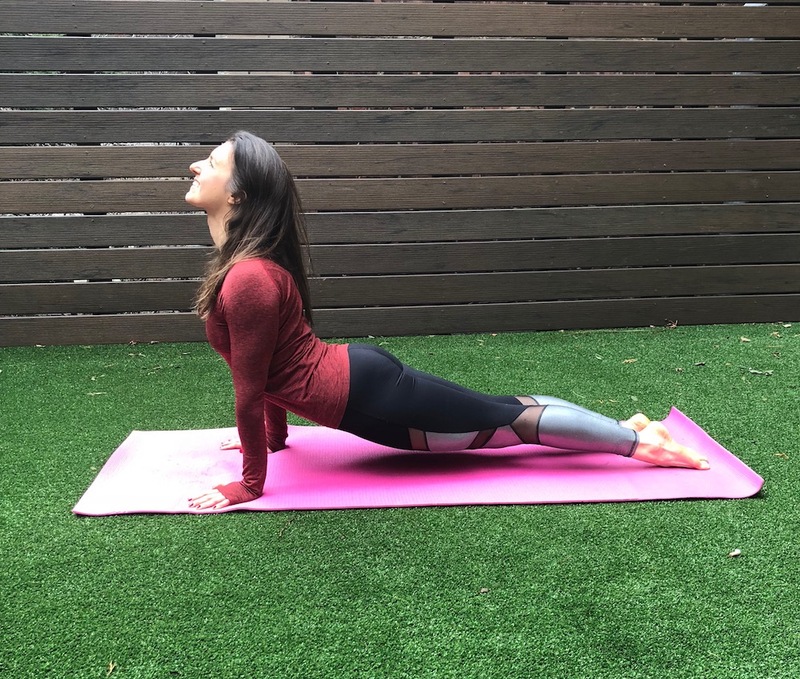 This is a backbend for your thoracic spine, if you feel it in your low back…try lifting your heels off of the floor to give your spine more length and space. How to do it: Lay on your yoga mat, facing the floor. Take your chin to the center of your mat and place your hands by your lowest rib. Untuck your toes so that the tops of your feet are flat on the floor. Press down into your hands, engage your abdominals and peel your chest and legs off of the mat. Your thighs should be completely off of the mat. Engage your outer shins to keep your heels in line with your ankles. Press firmly into your hands to roll your upper arm bones back. Take 3 breathes and then transition into downward dog to reset. How to do it: Stand at the top of your mat with both feet flat on the floor. Keep both hips facing forward, bend your right leg and grab onto the inside of your ankle or foot with your right hand. Kick your right foot into your hand and reach your left fingers straight up towards the ceiling. Zip your abdominals up and in. The backbend is powered from your lifted leg so gently press your right heel back and up to deepen this pose. Take five breathes and then switch to the left side. How to do it: Start in Warrior two with your right knee bent to a 90 degree angle. Place your right hand down to the inside of your right foot to the mat or to a block and reach your left hand straight up towards the ceiling. Press down equally in to your right and left foot. Root down through your feet and lengthen out both sides of your ribcage. As you breathe in draw the crown of your head forward, as you breathe out twist your heart up towards the ceiling. Let the twist come from your waist verses your neck and shoulders. Take five to ten breathes and then switch to the left side. Want more fitness posts? Click here!